Pensacola to Destin Custom Home Builders. 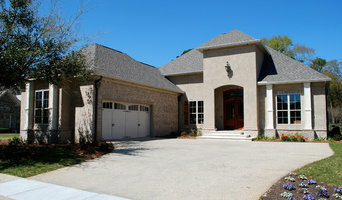 We are one of Northwest Florida's premier custom home builders. Urban Infill Corporation (UIC), The name may sound strange, but it reflects the actual "infilling" or development/re-development of land in an urban setting. UIC prides itself on quality, detailed home construction at an affordable price. We have built custom homes valued under $120,000 all the way up to nearly $1.0 Million. More than likely we can build the house of your dreams within a reasonable budget. Here at Truland we pride ourselves on our commitment to even the smallest of details and the elevated standards of professional excellence we demand in everything that we do. Unwavering honesty, the highest degree of integrity, steadfast loyalty, and unmatched dependability are just a few things you can take to the bank when you deal with Truland. It is our goal to be your Builder for a lifetime and to build not only this house for you, but your next one, the one after that, and even your child's first home. Allow us to make your building experience an enjoyable one from start to finish by choosing Truland Homes to partner with you to build your next home. Come visit with us and see what we have to say! Fowler Custom Homes is a custom home builder serving the Gulf Coast from Fairhope, Alabama to 30A, Florida. Although we specialize in new construction, we also work closely with home owners to remodel or add additions to their existing home. Please view our Houzz portfolio, follow us on Facebook & Instagram! (@Fowlercustomhomes) Already working with a builder, but need help with your construction & design selections? 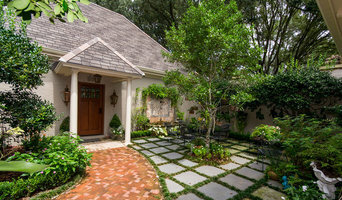 Contact Vicki Z. Fowler of Fowler Custom Homes to walk you through your design process. She specializes in new home and remodeling finish selections to include cabinets, plumbing, paint, lighting, flooring & trim designs. Find her on Houzz, Pinterest & Instagram @vickizfowler. Randy Broadway, Inc. is a “hands-on” company specializing in fine custom home building and remodeling in and around Mobile, Alabama. Formed in 1987 by Randy Broadway, a third generation carpenter and home builder, Randy Broadway, Inc. has earned a reputation among its customers, peers and local architects for its ability to consistently produce a high level of quality, detail and craftsmanship in all phases of construction. With a family tradition dating back to the early 1900’s, owner Randy Broadway maintains a strong job presence and employs a dedicated staff of skilled carpenters, painters and select group of subcontractors. We ensure that every project, regardless of size and scope, meets the highest standards. Visit our Custom Home Gallery to see why Randy Broadway, Inc. is a leading standard in fine custom home building. Shows Construction is a custom home building company located in Pensacola, Florida and the only source you need for the planning and construction of your next home. We are an experienced and quality driven custom builder that welcomes the unique challenges present in a one of a kind home. We deal honestly and directly with our clients in a friendly and professional manner. We are experienced in building for clients who live out of town during construction and we have a list of references we are happy to provide. As a custom homebuilder, each of our projects are unique as we build to the plans and specifications of our clients. We are experts in the custom homebuilding process and appreciate the opportunity to assist & advise "potential" clients as they make decisions about their future home. Forrest Homes and Steel Construction wants to be your builder. Forrest Construction prides ourselves in specialized Custom Homes including vast experience in Piling Construction. We also have immense experience in Additions and Remodels, Custom Metal Buildings, Commercial Construction, and Marine Construction. Whatever your construction needs our team with over 60 years of experience can assist you in designing and customizing your project to insure your finished product fits you exact Needs. We are state certified general contractors and we would like to meet with you and discuss what it is you want to do as it relates to your home or building. We can assist you in design and will provide you with a detailed cost estimate that will show you all the cost as it relates to your project. Our designers are certified and have designed thousands of homes in the area. Forrest Homes & Steel Construction maintains a professional team of subcontractors skilled in the following trades: site work, concrete, rough carpentry, finish carpentry, doors and windows installation, specialty items installation, structural steel erection, and mechanical, electrical and plumbing. Regardless of its size, every project benefits from the attention to details of a team of project manager, field superintendent, and office administration. No detail can be overlooked if a project is to meet the needs of the owner. We are committed to the success of our clients and our partners, who include design professionals, subcontractors, and the highest quality material suppliers. Craig Homes, Inc. is a premier builder of luxury custom homes in Baldwin County, specializing in custom design for the most discerning clients. With over 20 years experience, we offer unmatched quality and attention to detail in all of our luxury home projects. Our experienced team of construction professionals will customize a home to fit your specific needs through strategic relationships with Southern Alabama’s most sought after artisans and craftsmen. At Craig Homes, we have coupled distinctive design with the requirement to innovate. The hurricanes of recent years have made us intensely aware that new technology must be integral to our building process. We have been hard at work proactively researching effective ways to make your new home stronger, safer, and more energy efficient. In cooperation with our technology partners, Craig Homes has incorporated new mandatory code features and additional techniques designed to increase structural strength and reduce the chance of water intrusion in storm conditions. 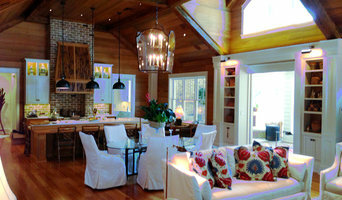 Bass Homes, Inc. helps Alabama residents build their dream home according to their individual tastes, needs and vision. Bass Homes, Inc. has served homebuyers in Mobile, Spanish Fort, Birmingham and other cities in the region for more than 30 years. Our company works to help custom design already built homes as well as builds entire homes based on our clients’ requests. We are proud to build and renovate homes that last a lifetime and can bring families together under one, customized roof. Bob Price Jr. Builder custom homes has been a respected and recognized name for their commitment to quality and integrity. Building each home as if it were his own, Bob Jr. focuses on every detail of the process, while ensuring his clients wants, needs and desires are incorporated into their home. While we do work with clients to who want to make personal modifications to existing plans or those who already have a set of plans they want to build, most of our work is done on a design/build basis. We take personal pride in knowing that every home is built with great care and quality. This is what we love and it’s evident in the relationships created and the trust we build with our clients. For Montrose residential home builders who also act as developers, the job starts well before the first nail is driven. They perform local market research to determine whether the prospective homesites make sense in the Montrose, AL market, as well as survey the land on which the house will be built to make sure it is suitable for construction. Custom builders also obtain the necessary permits. 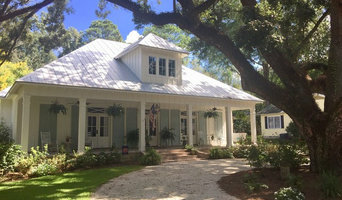 A good custom home builder in Montrose, AL has skills that go far beyond construction — he or she must supervise subcontractors and artisans; keep tabs on local zoning regulations, building codes and other legalities; inspect work for problems along the way; and perform dozens of other roles that are essential in building a quality house. Here are some related professionals and vendors to complement the work of home builders: Interior Designers & Decorators, Landscape Architects & Landscape Designers, Architects & Building Designers, Kitchen & Bath Designers, Specialty Contractors. House builders are responsible for ensuring that the home-building project sticks as closely as possible to the specified timetable, particularly in the event of change orders. Custom and luxury home builders in Montrose, AL also need interpersonal skills to deal with clients of all types, soothe frazzled nerves, negotiate conflicts and resolve problems. Find custom home builders in Montrose, AL on Houzz. Narrow your search in the Professionals section of the website to Montrose, AL home builders. You can also look through Montrose, AL photos to find a house you like, then contact the builder who worked on it.